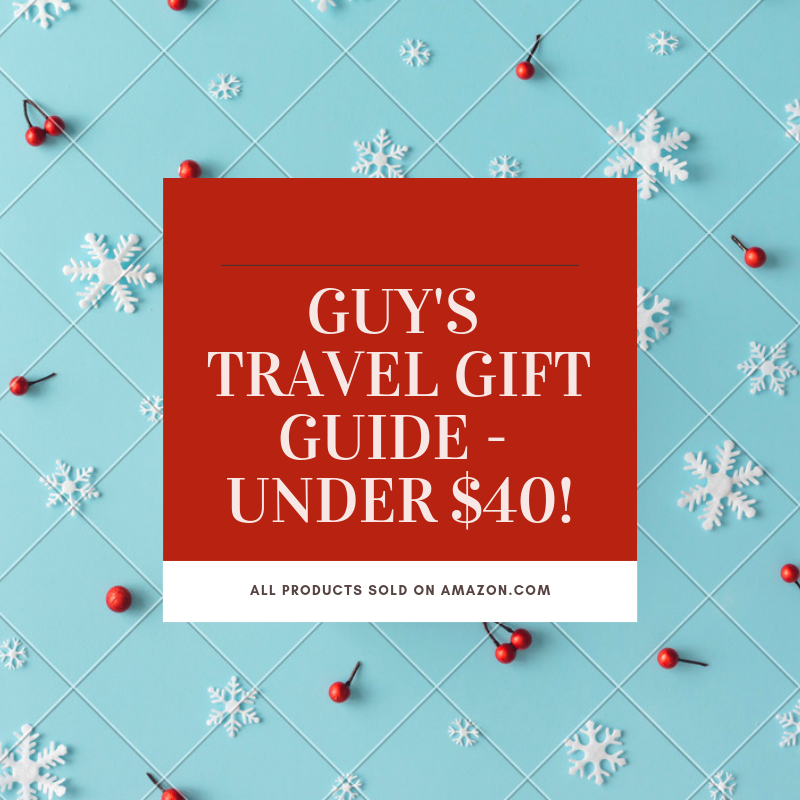 Best Travel Gift For Guy's - 15 Unique Gifts Under $40! 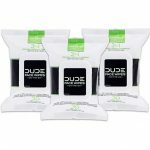 Best Travel Gift For Guy’s – 15 Unique Gifts Under $40! Ladies aren't the only ones looking for the best travel tools on a budget. Gents, we've got you covered as well! Roll out to your next adventure with function and style while keeping your spend in check! 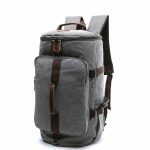 This bag can be carried in 3 ways: it's easy to switch from a duffel to a regular backpack or hand carry-on. The backpack strap can be hidden when it's used as a shoulder bag or crossbody bag. Not to mention, this bag has a large carrying capacity! 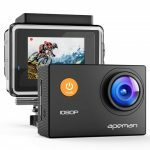 This compact size action camera takes 1080P videos and 12 MP photos with it's 170° wide angle and 6G high quality Sony sensor glass lens. 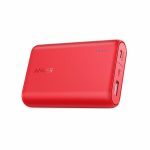 For $15 more you can upgrade to the A77 model that includes wifi connectivity and 4k video. 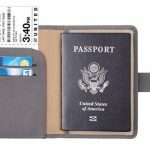 RFID Blocking technology will protect your passport identity, credit cards, and license from electronic pick-pocketing, otherwise known as RFID skimming. 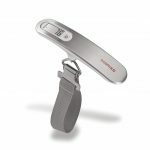 This compact and lightweight design is easy to travel with and can save you plenty of money in over-sized baggage fees. 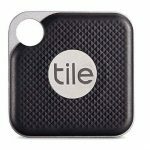 If you're traveling with anything of value--a camera, laptop, fine jewelry, etc--you may want to consider placing a tile on your item(s). This technology allows you to track the location of your items, which can be a lifesaver if they go misplaced abroad. This soft fabric calls for ultimate comfort for those long-haul flights. 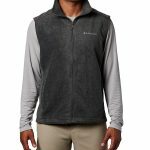 The price on this item varies depending on size and color. 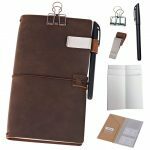 Love taking notes, journaling, and keeping your thoughts organized on the road? Do it with class and a hint of manly style with this notebook. 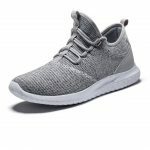 These shoes are lightweight and easy to slip on--the exact equation needed for travel shoes. Also, they look fly AF. We love ourselves some Tom Fizzle. Since having a travel-size perfume on you is a must, here is one of my favorite male scents. Necessary after those long-haul flights! This six foot cable comes in handy when you need your devices charged lightning fast--and possibly in a foreign hotel room where there's only one outlet several feet away from the bed! 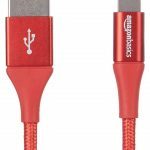 This cable includes an additional layer of protection to improve durability and reduce fraying. Hate that feeling of hitting zero battery on your devices right as you've arrived at the most epic location to shoot, record, or take photos? Yeah, us too. Keep those moments of frustration to a minimum with a spare jug o' juice! 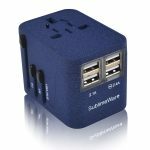 Even if you're not traveling abroad, this adapter comes in handy with its four USB ports, allowing you to charge multiple devices at the same time. The adapter works in 150+ countries. Note: it does not convert voltage. With all these tech devices and cables, the key to traveling smart is staying organized. This flexible design is easy to roll up and tuck into your travel bags. This is probably the one gift that will go the longest way for any gentleman. 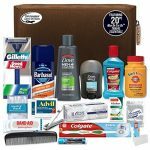 Having all of the travel toiletries and necessities conveniently packaged in one bag is key to make sure your man is taking care of his hygiene. Also, if you purchase these items separately, they will cost more than the cost of the kit--well worth the money! You can access the complete list of these items on this Amazon Wishlist.